Serato DJ Pro is now 64-bit, which means it performs better than ever with virtually no limit on library size. The new release brings a few new features, design changes, and rock solid stability. All previously supported Serato DJ hardware works as well. Here are the key features and differences you will notice in Serato DJ Pro. I'm still using Serato DJ 1.9 with my Numark/Denon DJ/Rane DJ controller. Do I need to pay to upgrade? No, all Serato DJ Licenses and Serato DJ enabled controllers have been carried over to Serato DJ Pro 2.0. This means that you can download and install the new Serato DJ Pro 2.0 and continue to use your current Serato License and/or Serato Enabled controller. What does it mean that Serato DJ Pro is 64-bit? Who needs to update to Serato DJ Pro? Updating is not necessary just yet, but it is recommended for any current Serato DJ users. Yes, by default it will overwrite the program but it will not affect your current library. All of your content will remain the same. If you're interested in installing multiple versions of the Serato software, see their article here. The first question you may be asking after launching Serato DJ Pro may be, "Where have my DJ-FX, Sampler, Expansions, Flip, Video, and My Serato gone?" Note: If you still do not see your purchased expansions, make sure they have been enabled in the Setup screen in Serato DJ Pro. My Serato & Setup - My Serato has now been moved to the top-right hand corner of the software next to the Help and Setup icons. Setup has now been replaced with a "Gear" icon. The new added Practice Mode will allow you to mix two tracks with no hardware connected, which is ideal for prepping for gigs and testing out your blends wherever you are. You can still access the previous media player view as well. 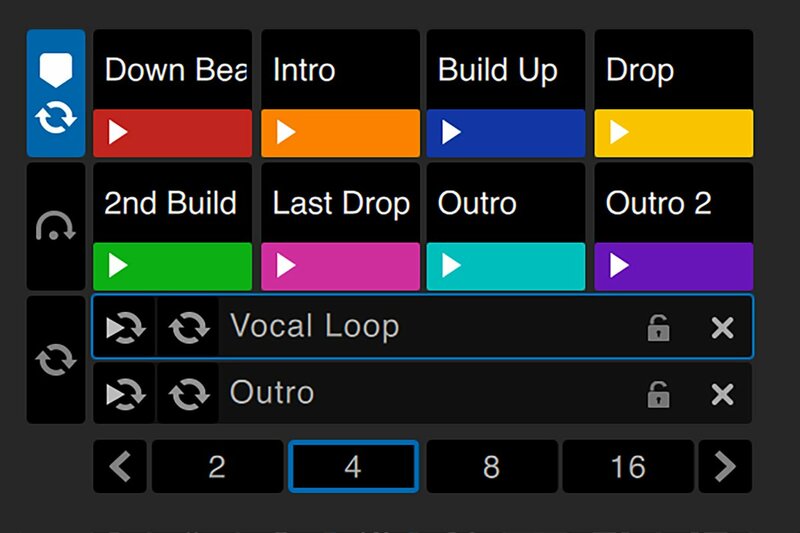 Track Controls - Track control area shows all panels for Cue Points, Beatgrid Editing, Saved Loops, Autoloops, Beatjump and the Flip Expansion pack if it has been purchased and enabled in the Setup screen. The improved help section includes tooltips and shortcut keys, and now introduces tutorials. You can now also contact the Serato support team, and search their knowledge base. 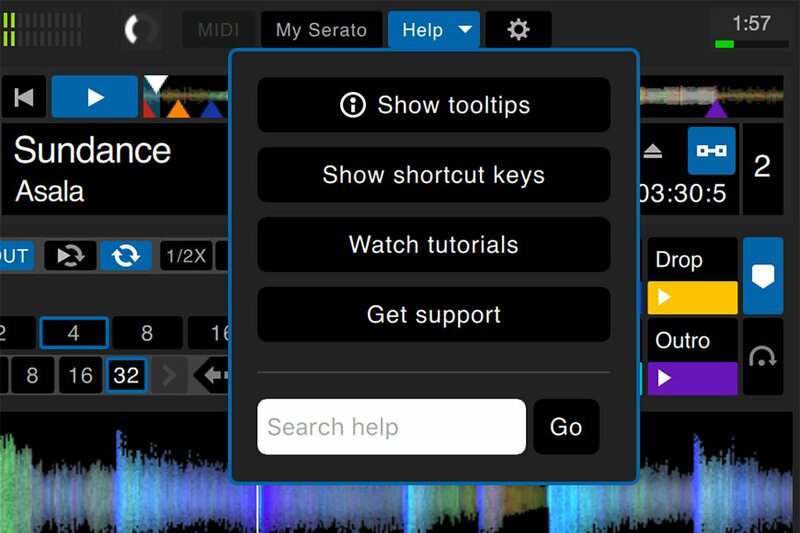 Whether you are having issues with Serato DJ Pro, or just have a few questions, you can reach out to Serato support and view more knowledge base materials using the links below.